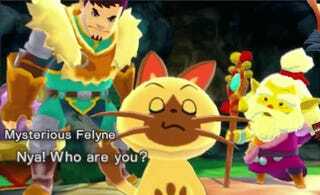 Monster Hunter Stories takes the popular hunting series and mixes it up into an adorable roleplaying game all about hatching cool critters. Players take the role of a “rider” who befriends monsters instead of chopping them into bits. The main Monster Hunter games focus on sprawling locales and multiplayer monster hunts. 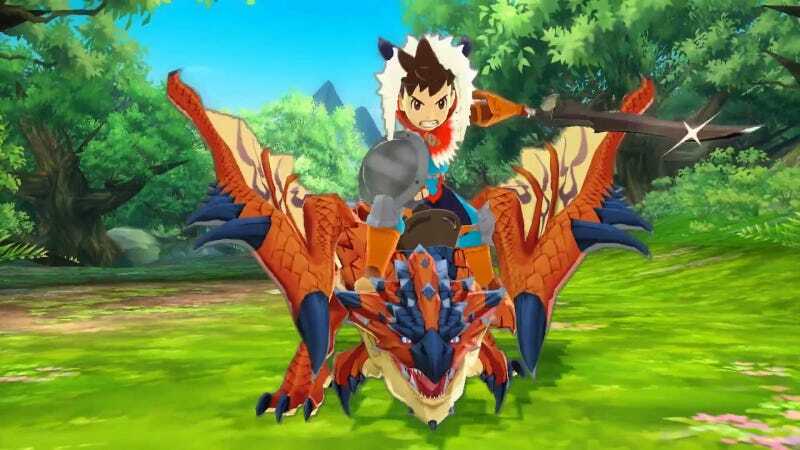 Monster Hunter Stories is a more focused and approachable affair. Players team up with their monster friends to defeat other riders. Eventually, they’re caught up in a quest to defeat a magical plague that’s turning monsters evil. Battles are standard turn-based affairs that move quickly back and forth. A rock, paper, scissors-like balance between power, speed, and technical attacks allows players to slowly learn a monster’s behavior and reply with a powerful counter attack. As battle progress, an affinity meter builds. When it is full, players can ride on the back of their monsters to do extra damage or use special attacks. These small touches help keep battles exciting and it’s incredibly gratifying to slowly figure out the best strategies for taking down foes. While the game mostly focuses on these battles, it also has a simple system for finding new monster pals and hatching them from eggs. The game’s open world is dotted with monster dens that can be explored. If players find a nest, they can pilfer eggs and raise them into new “monsties” that join their roster. Coupled along with various side quests to hunt monsters or gather supplies, it’s easy to get sidetracked as you forage for herbs or find hidden dens. Expanding your digital menagerie is incredibly satisfying. The game’s story is generic tale of childhood friends, doomed villages, and evil forces but it comes to life thanks to a vibrant color palette and expressive character animations. Seriously, this game looks and runs incredibly well. The world is gorgeous and navigation is smooth. Monsters leap around world, lakes glimmer, and snow swirls across tundras. The narrative might be forgetful but the world leaves a strong impression. My time with Monster Hunter Stories has been limited and there’s still dozens of places to go and countless monster friends to make. Battles are a blast and the colorful setting stands right next to Wind Waker as a wonderful place to explore. Monster Hunter Stories transforms rugged source material into a simple but captivating cartoon.